“Discipline”, my good friend Geoff suggested when i told him i was studying running and exercise books and articles to learn about being the best runner you can when you are in the Second Half. “Discipline in exercising, discipline in eating and discipline in drinking alcohol”, Geoff elaborated. We had just finished one of our occasional lunches for which we had, as usual, a beef burger, chips and a glass of red wine, so obviously eating and drinking with discipline was on his mind. Getting healthier and faster was on mine. Please treat this as an amateur’s journey into the unknown. Most books and articles about older runners assume, naturally enough, that people have been running all their lives and are experiencing a drop-off is speed and endurance as the years accumulate. This is true for many people but not for me, or indeed, i’m sure, many like me. Thanks, though that is far from the right word, to a debilitating encounter with ME in my late twenties which lasted over twenty years, i am relatively new to running, to exercise indeed . As sufferers will know, ME is particularly vicious and sly about exercise and attempts to improve your fitness; any extra effort, any additional stress placed on your body inevitably results in a set-back and often a confinement to bed while you repent the error of your ways and return to dragging your reluctant carcase around its attempts to carry out life’s mundane tasks. So by my early 50’s i was exercising slightly in the gym, having spent the first three years membership solely in the sauna room and the jacuzzi. Now i was running slowly on the treadmill for up to what seemed an extraordinary 20 minutes at a time, feeling both happy and proud and fitter than i’d been in over twenty years. Then i tore my achilles tendon training for a charity soccer match and that was that. Until an unemployed friend sought a partner to play squash and help preserve his sanity. And so i found that my stitched up achilles was strong enough to bounce around a squash court which lead me back to my treadmill. My gym, superb in all other ways, provided no natural light, it had no windows and so i thought that a little gentle running in the park might be beneficial and i went to buy a pair of running shoes. Amphibian King was the store recommended to me and there i encountered a sales assistant who was so enthusiastic about running that i had signed up for a 4k race before i had even bought the shoes. That was almost five years ago, now i can run a half-marathon, finish a marathon and run happily wherever i go. A legacy of my ME though is a severely depressed immune system; i am sick nearly as often as not, though much of it is low grade. This interferes hugely with my training – in fact i don’t really train. Another legacy is fatigue, nothing like in the full-blown days of constant exhaustion but still more fatigue than you would wish to encounter. why would anyone want to ‘go on the same’? Time to get serious so; to try and understand the science behind training and fitness and health and then to carry out my experiment of one – to see if i can use that knowledge to improve my health, my fitness and, of course, my running times. Two of my favourite exercise books for the grey brigade are by Chris Crowley and Henry Lodge, “Younger Next Year” and “Younger Next Year, The Exercise Programme”. The first book was published in 2004 and the second in 2016, so there is over ten years of experience and expertise in the Exercise Programme. I have to say a word about Henry Lodge MD, one of my heroes, and the medical brains behind the books and the doctor who introduced Chris Crowley to the fountain-of-youth like effects of regular exercise. Sadly, tragically, Henry Lodge passed away this year at the tender age of 58 from prostrate cancer – a tragedy for him and his family and friends but also for all the people who he was treating and helping, who’s lives he was changing. Chris Crowley is now in his 80’s and pretty much still as active as when he was in his 50’s; proof of the potential of the way of life and exercise regime described in the book. Their philosophy is summed up in the chapter titles, “Life is an Endurance Event, Train for it”. All the books i have read and will reference in this series of blogs have the same message, aging begins in your early thirties but you don’t really notice it until you are about fifty and then, bang, wallop, your eyesight goes, your hearing diminishes, you tell the same story over again, you forget to finish things, your hair thins and turns grey, people, nice people, start to treat you a little differently, gingerly even, not so nice people introduce you to the experience of ageism. All parts of life’s education. – and the first signs you receive is when you don’t recover like you used to after a hard training session or a tough race or when you get left behind. Quite a challenge ahead of us it seems. 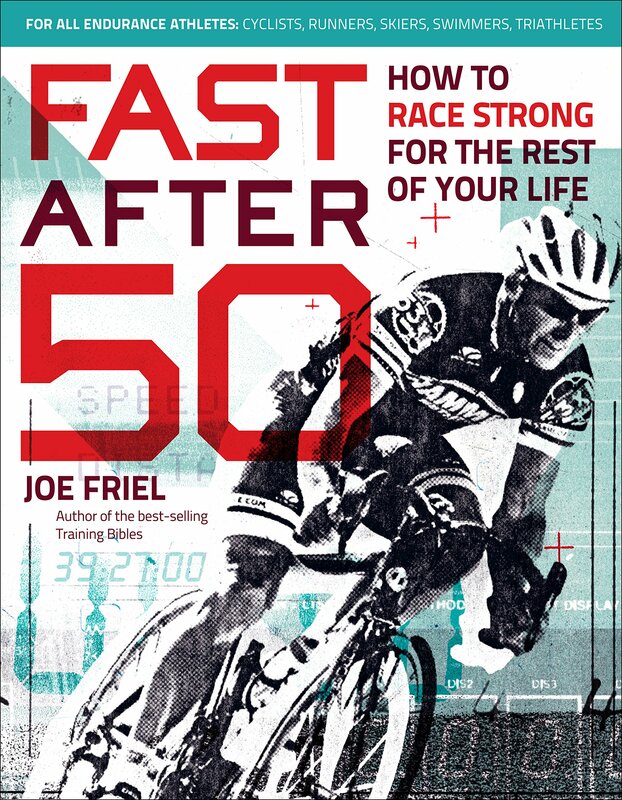 Joe Friel is best known as an elite triathlon and cycling coach and wrote this book as he approached his 70th birthday. He didn’t want that particular milestone to herald the beginning of the end of being a serious athlete – seems like a man who knows what he is talking about. Now ‘Fast after 50’ is pretty technical and aimed at life-long athletes but it contains some very useful advice that we can all make use of and i discuss that later. You can follow more of Joe’s thinking and advice at his blog http://www.joefrielsblog.com. There are three aspects of life in the Second Half that i’m particularly interested in in this series of blogs and they are health, fitness and aging. You can’t achieve peak fitness for your age and circumstances unless you are healthy so lets start from there. This is obviously of particular interest to me. I started keeping a training log last year year when i decided to train for my first marathon. It wasn’t even really a running target, it was the hundred year anniversary of the 1916 Easter Rising in Dublin and i thought doing the marathon and running 26.2 miles around Dublin would be a nice way for me to commemorate that anniversary, sort of like a homage to those brave souls. After a few weeks of keeping my running diary, i started to record when i couldn’t train because i was sick – getting my excuses lined up early so to speak. I wanted to be able to see whether i had just been lazy when i hadn’t trained or whether i was actually sick and couldn’t train. I started recording sick days on 04 June 2016 and between then and the Dublin City Marathon on October 30th i was sick for 44 days – not good. I clocked up another 28 sick days by the end of the year, a total of 72 days in seven months. It doesn’t take much maths to see that averages at about 10 days a month or one-third of the time. 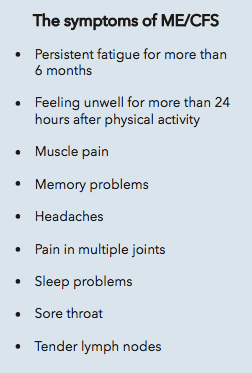 Of course being sick that often has a knock-on effect on your fitness and training even on your good days. This year, 2017, i have kept a training diary, my GloHealth Fit4Life 52 Week Training Diary, from 01 January, i clocked up 56 sick days by the end of October when i ran the Dublin City Marathon in an untrained state again – yes i know i’m a slow learner. That’s 56 days in 10 months, less than 6 days a month and a significant improvement on last year. I have improved my diet and tried to reduce stresses in my life this year but, obviously, have still a long way to go. There are also six or seven high risk weeks ahead yet when bugs and viruses are floating around in the ether, so its a little early to make too many conclusions for the year. This blog arose from my decision just over a week ago to start regular and consistent training. I planed five days running and a parkrun on Saturday – i get excited and enthusiastic you see and forget my limitations. This is not good because when you inevitably fail you can get disillusioned and end up worse off. True to form, i ended up training one day – for 13 minutes. I kid you not. It was Fast Tempo training though, more about that in a later blog, i circled a wondrous 2.2 km. But i listened to my body and on Saturday i ran my fastest ever 5k parkrun, coming home in a blistering 25 minutes and 05 seconds – so close to that 25 minute barrier i have targeted for the last couple of years. Here’s the encouraging thing though, that was my third PB, personal best time, since last November and the third time i have approached 25 minutes in seventeen parkruns in the last twelve months. Before that my previous PB in Marlay Park was back in June 2013, a time of 25:42, so my attempted health improvements last year had some impact. In the subsequent years, my time fluctuates between 26 and 29 minutes depending, largely on my health. More details and analysis in my next blog.